The nation is currently celebrating the sesquicentennial (150th anniversary) of the American Civil War. From 1861 to 1864, an estimated 700,000 people died from battle and disease. At the time, the population of the United States was a mere 31 million. That means nearly 2.5% of the population was wiped out. While that may not seem like a large number, when you apply it to today’s population of 314 million, it works out to almost 8 million people! A loss of that many Americans in a span of 4 years would be unthinkable in today’s world. The Monroe Library’s Special Collections & Archives features numerous first editions, original publications, and printings of Civil War diaries, battle histories, and official records. Topics covered by these documents include the South’s participation in the war, especially Louisiana troops, women in the South, Freedmen in the South, etc. Stop by Monday – Friday between 8:30 and 4:45 to see them for yourself! A book of poetry by a Southern woman from New Orleans defending her home and the Southern ‘Cause.’ This publication can also be read online through the Internet Archive. A report by Major-General George B. McClellan upon the organization of the Army of the Potomac, and its campaigns in Virginia and Maryland, from July twenty-sixth, 1861, to November seventh, 1862. McClellan was the most charismatic of the Union Army’s many commanders. Read about the notorious General Butler and his treatment of and by the city of New Orleans after its fall to Union forces in 1862. This publication can also be read online through the Internet Archive. A book of poems by a Civil War soldier. This publication can also be read online thought the Internet Archive. A history of one of Louisiana’s regiments. This publication can also be read online through the Internet Archive. 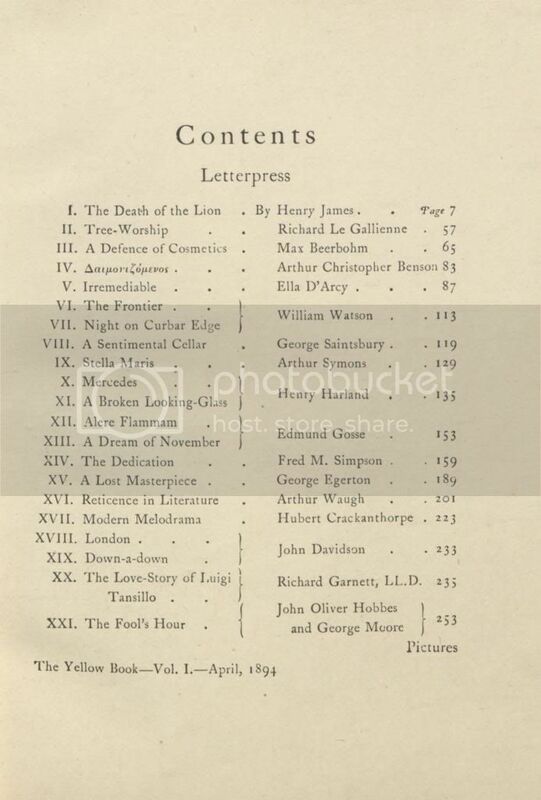 In 1894, the first edition of a “new literary and artistic quarterly” called The Yellow Book was published in London by The Bodley Head publishing house. 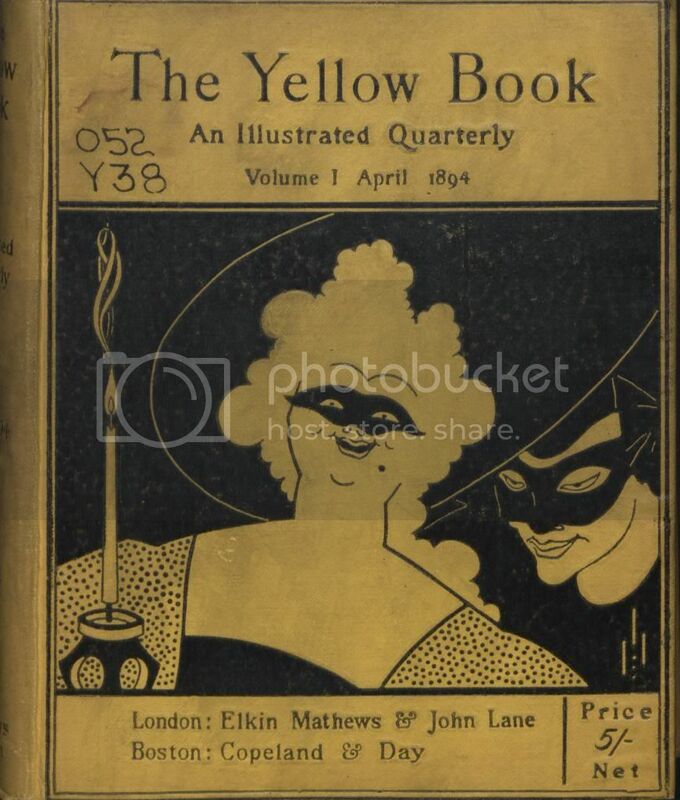 The goal of the periodical was to promote the works of writers and artists who “cannot get their best stuff accepted in the conventional magazine.” Its first art editor was the controversial writer and artist Aubrey Beardsley, and the publication’s vibrant yellow cover immediately associated it with racy French novels. The first volume’s text and illustrations drew criticism from the press for being too shocking (a judgement which followed Beardsley throughout his career). The list of authors from the first volume don’t appear controversial to a 21st century audience, but later volumes avoided established authors like Henry James and instead focused on new writers, including several women. While Beardsley’s contemporary Oscar Wilde was never published in The Yellow Book, he is sometimes blamed for its demise. 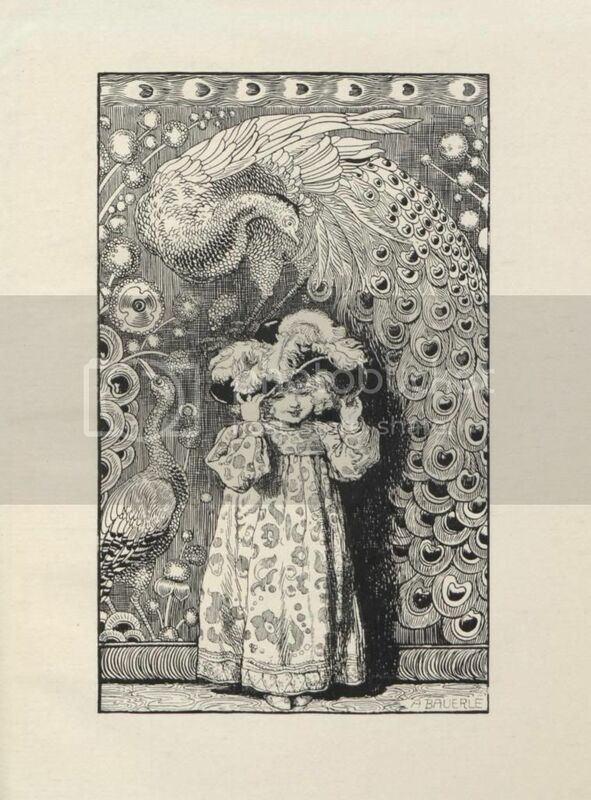 Beardsley and Wilde worked together on Salome in 1894. In 1895 Wilde was convicted of “gross indecency” for homosexual activities, and some publications reported that Wilde carried a copy of The Yellow Book under his arm when he was brought from the Old Bailey Courthouse following his conviction. Mobs soon surrounded The Bodley Head and protested. 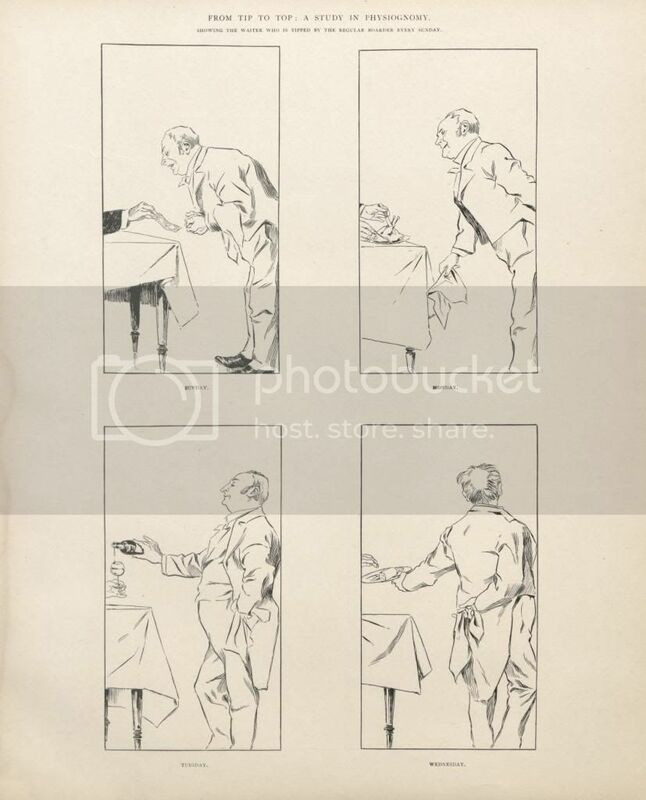 It was later confirmed that Wilde was carrying a French novel, but Beardsley was still fired and his work removed from the as-of-yet unpublished April 1895 volume. The Yellow Book continued until 1897 and today may be best known for its separation of art from literature–unlike its peer publications, The Yellow Book included artworks that were not associated with the texts, as opposed to the more common practice of the art illustrating the text within. Bauerle, A. "Fine Feathers Make Fine Birds." The Yellow Book XIII (1897): 149. Beardsley, Aubrey. "A Bookplate for J.L. Prophet, Esquire." 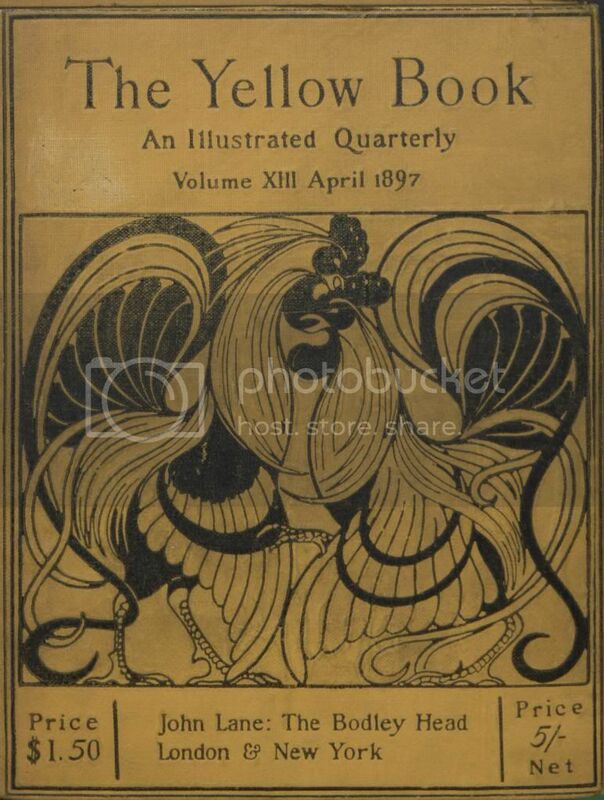 The Yellow Book I (1894), 251. Bell, R. Anning. 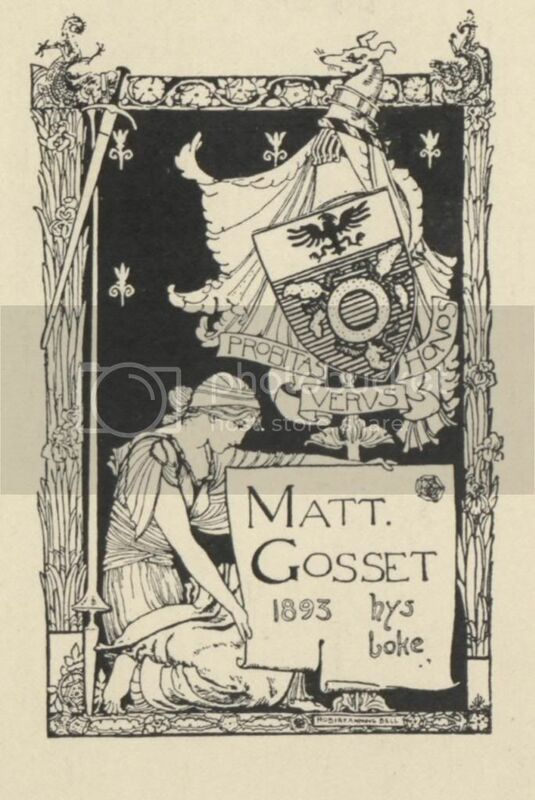 "A Book Plate for Major-General Gosset." 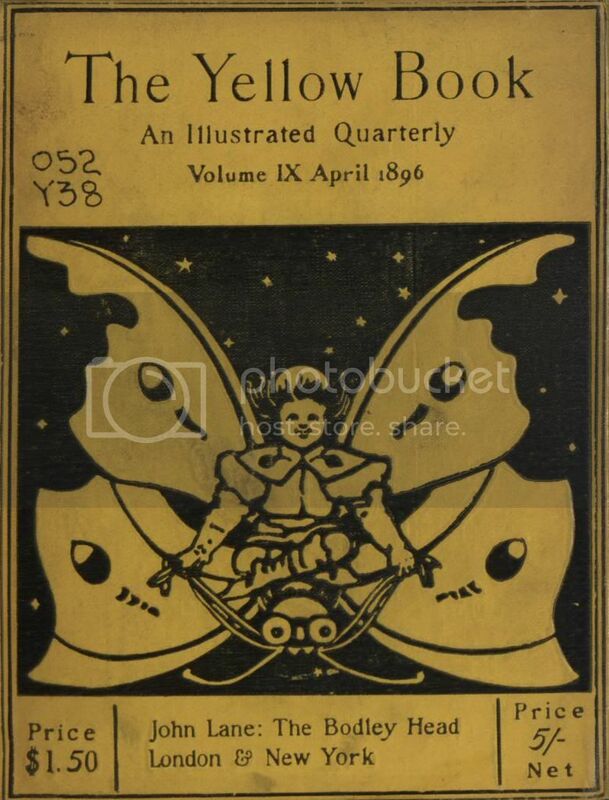 The Yellow Book I (1894), 251. Ryerson University has digitized the entire run of The Yellow Book and made it available in The Internet Archive. In addition, the Monroe Library has a complete set of The Yellow Book available for use on the third floor of the library in Special Collections & Archives. Information about a Yellow Book exhibit done by Special Collections Coordinator Trish Nugent in 2008 can be found here. Mix, Katherine L. A Study in Yellow: The Yellow Book and Its Contributors. Lawrence: University of Kansas Press, 1960. Print. Weintraub, Stanley. “The Yellow Book: A Reappraisal.” The Journal of General Education, 16.2 (July 1964), pp. 136-152. Wilson, Simon. 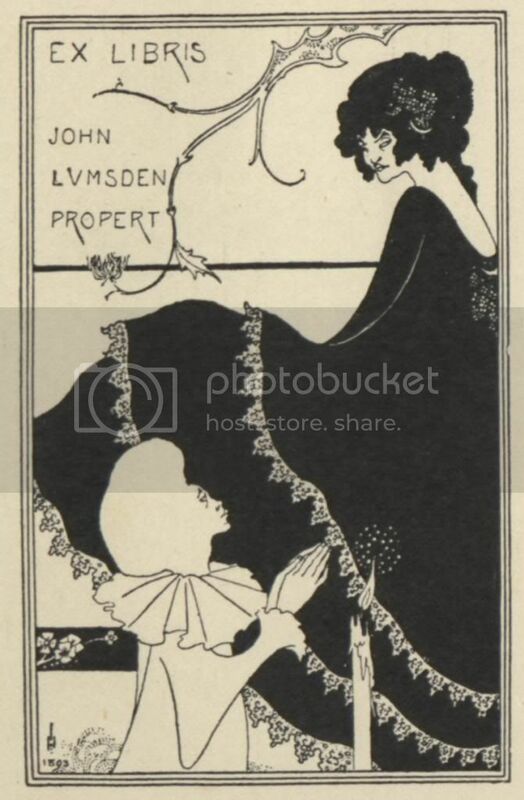 ”Beardsley, Aubrey.” Grove Art Online. Oxford Art Online. Oxford University Press.Web. 23 Jul. 2013. The world’s attention has been on London this week for the birth of the newest member of the royal family. What better way to celebrate than with some historical London books from Special Collections and Archives! 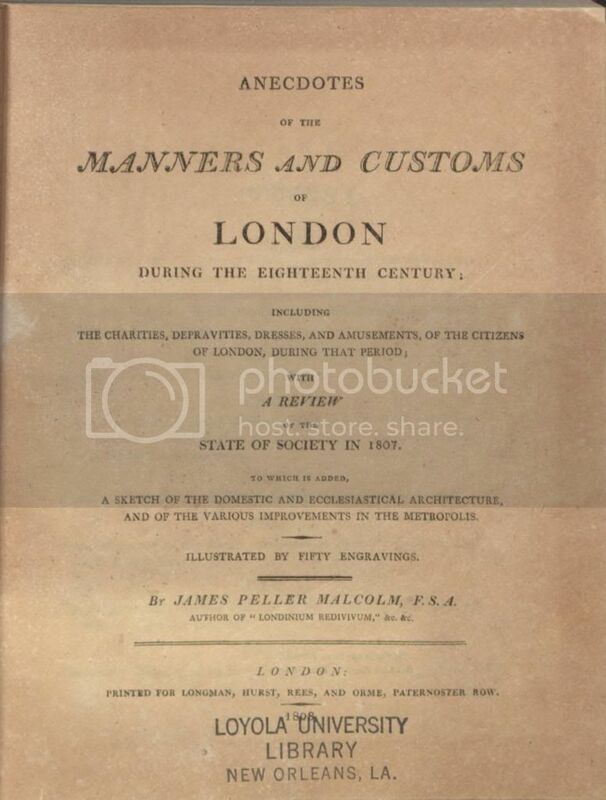 Anecdotes on the Manners and Customs of London During the Eighteenth Century by James P. Malcom was published in 1808, and a first edition can be found in Special Collections and Archives. 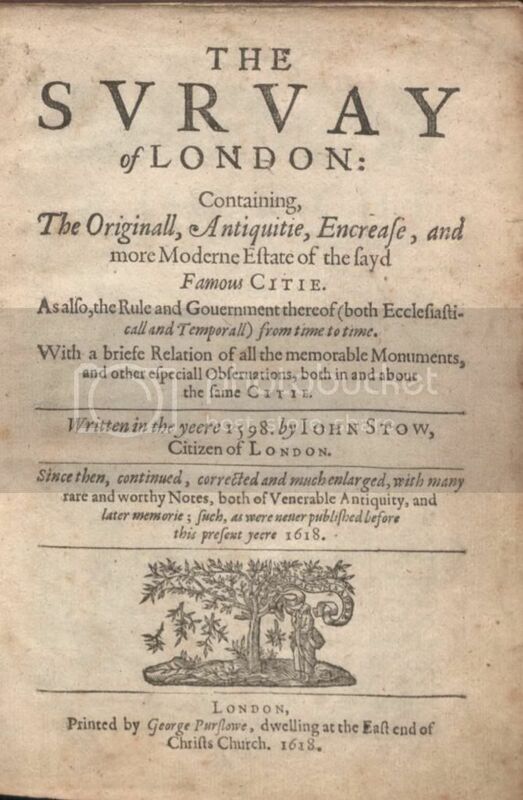 The subtitle promises the “charities, depravities, dresses and amusements of the citizens of London during that period.” The University of Toronto has made the entire book available online in their digital archive, found here. Bonus video: The Folger Shakespeare Library’s short video on Stow’s Survey of London and its legacy. Treasure Trove of Historic Newspapers Found! Click here for more information about newspapers printed on wallpaper and the editions of The Daily Gazette in particular. The Monroe Library Special Collections & Archives staff has had the unique privilege of working with two very special archival assistants over the last few weeks. James C. Clifford received his Master of Library and Information Science degree from LSU in 2011. 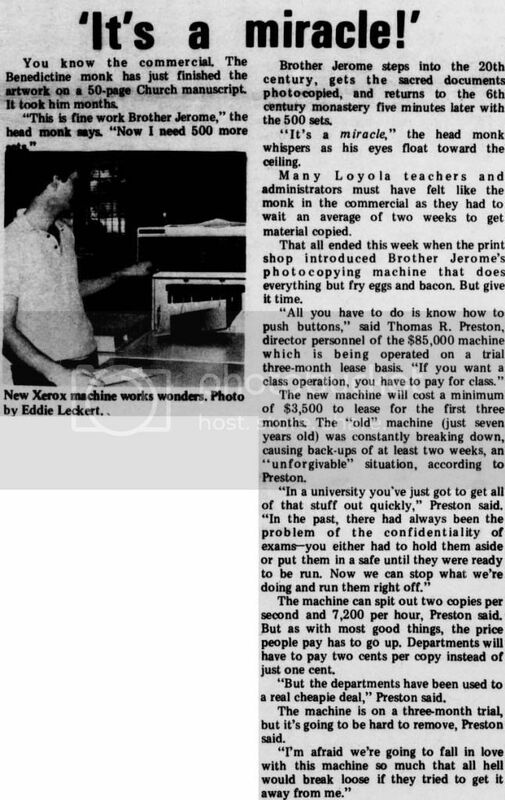 Since that time he has worked as a library associate for the Earl K. Long Library at UNO as well as a librarian for several institutions in Australia. Christine P. Horn graduated with a Master of Arts in History from UNO in 2012. She has interned at both the Earl K. Long Library at UNO as well as the Howard-Tilton Memorial Library at Tulane. Through their diligence and excellent work, James and Christine have processed and provided access to seven of the library’s manuscript collections while nearly completing three additional collections. We cannot thank them enough for their contribution. 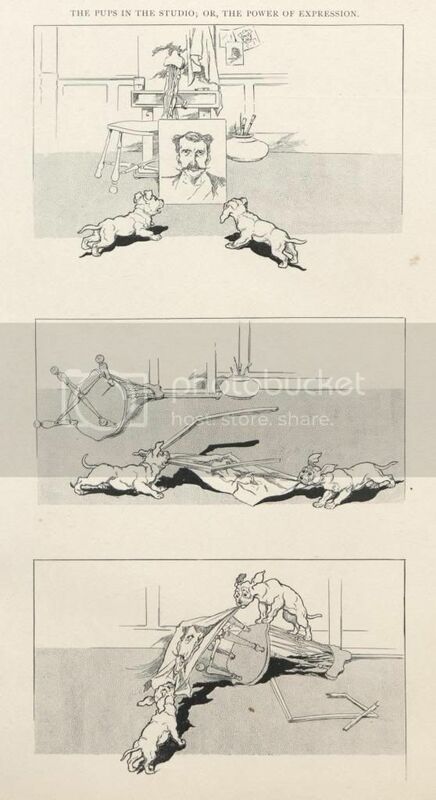 Henry “Hy” Mayer was a turn-of- the century German-American cartoonist and animator. 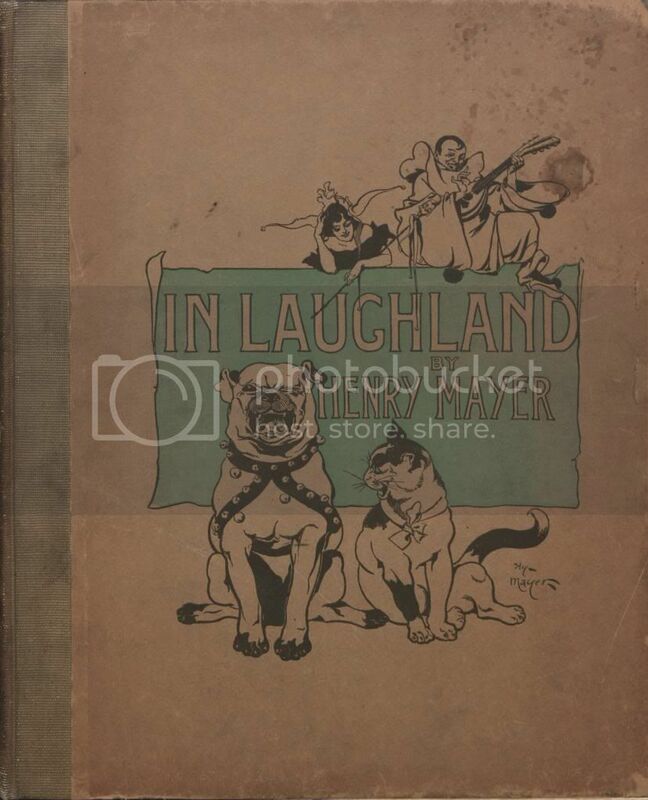 Special Collections & Archives has a first edition of Mayer’s 1899 In Laughland, a collection of drawings some of which appeared in early Life Magazine. The entirety of the book is available in the Louisiana Digital Library. If you feel like getting the giggles, come see In Laughland in person at Special Collections & Archives on the third floor of the Monroe Library. The Rebels with a Cause exhibit curated by Honors Program Director Naomi Yavneh Klos was featured on WWLTV this morning. Watch a recap of the show here. The exhibit can be viewed in the Honors Department on the first floor of the Monroe Library or online. 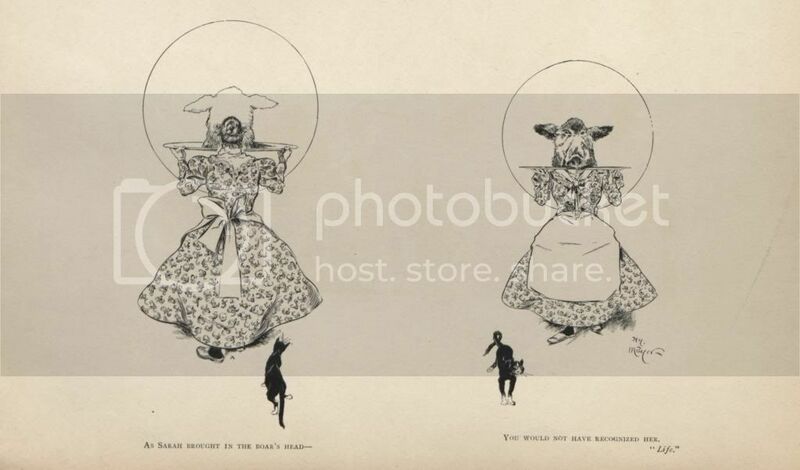 You are currently browsing the Library Lagniappe blog archives for July, 2013.